Window installation in Denver, CO is a quick and long-lasting way to introduce the comfort and calm of more natural light and airflow into your home. 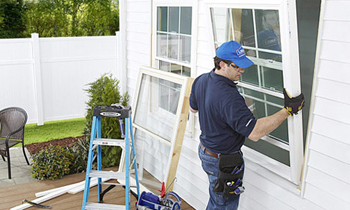 What’s more, the simple act of window installation in Denver, CO has been shown to improve the curbside appeal, property value, and even energy efficiency when you choose modern, eco-friendly Denver window installation options like those rated by Energy Star. Whatever your choice of Denver window installation style, material, or energy efficiency rating, the first step to ensure that your home enjoys all the benefits of a proper, professionally performed window installation in Denver, CO is to hire experienced contractors who have the right skill, equipment, and training to make the project a complete success. With such a wide variety of options homeowners who rely on Next Level Exteriors window installation Denver, CO contractors can be confident about receiving just the look and feel that they’re looking for with the long-lasting quality which their home deserves. If you’re ready to enjoy more light, more natural airflow, and more comfort in your home then give our friendly and knowledgeable representatives a call at (720) 370-5577 to learn about Denver window installations in your home.